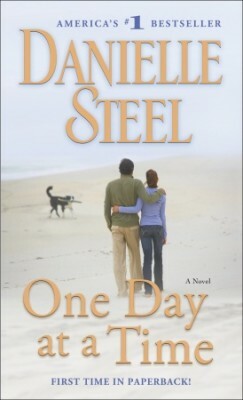 Danielle Steel celebrates families of every stripe in her compelling novel–a tale of three very different couples who struggle and survive, love, laugh, and learn to take life One Day at a Time. When Coco reluctantly agrees to house-sit for Jane, she discovers an unexpected houseguest: Leslie Baxter, a dashing but down-to-earth British actor who’s fleeing a psycho ex-girlfriend. Their worlds couldn’t be more different. The attraction couldn’t be more immediate. And as Coco contemplates a future with one of Hollywood’s hottest stars, as her mother and sister settle into their lives, old wounds are healed and new families are formed–some traditional, some not so traditional, but all bonded by love.